For the sixth year running, I have made a personal commitment to buy gifts for my friends and family from local and independent artists, designers and crafters this holiday season. As I have done in previous years, I’d like to invite independent hand-makers to post links to their shops in the comments. Please refer to the guidelines below before sharing your link. Thank you! ✚ You are welcome to share the above graphic on your blog, Facebook, Twitter, Pinterest or elsewhere, but please do not alter it in any way. Links should point to doorsixteen.com/handmade, which will automatically redirect to this page. Using a redirect URL will prevent any links from becoming outdated in future years. ✚ If you would prefer to have a smaller button to display in your sidebar, here you go! ✚ A mixture of handmade home wares, paper goods, & one-of-a-kind art pieces at the moment. ✚ DISCOUNT CODE: You can use discount code HASNEWS11 until the end of November for 15% off! ✚ BWB is an independent beauty company crafting limited batch lip balms that ignite the imagination. This is wonderful! I too will be shopping local this holiday season. ✚ I’m Tracey, a photographer, design enthusiast, cat fancier, thrift store queen, and the girl behind Studio 34. I can often be found out & about Detroit, exploring and photographing the city I love so hard. I photograph whatever happens to catch my eye, but particularly love to photograph interesting characters, urban ruins, the outdoors, and anything creepy (but not too creepy). ✚ handmade simple & geometric jewelry. ✚ DISCOUNT CODE: Black Friday through Cyber Monday special of 40% off! Use code BF2012 at checkout. ✚ Modern, abstract paintings for both the home and kids’ spaces. My paintings have been featured in several magazines and will be seen on Season 6 of Mad Men, woo hoo! Thanks for doing this, Anna! ✚ We make rad jewelry. ✚ DISCOUNT CODE: Enter coupon code MEGAFUN25 at checkout to receive 25% off! ✚ DISCOUNT CODE: Enter coupon code HANDMADEHOLIDAYS at checkout to receive 20% off everything in my shop. Sale runs Friday through Monday (at midnight). UPDATE! Free shipping with all orders over $50 until December 23rd! Use coupon code FREESHIP50 at checkout. ✚ I sell custom small details for weddings and celebrations! ✚ DISCOUNT CODE: SMALLBUSINESS for 10% off all orders until Nov 30! Thanks Anna, what a wonderful idea! ✚ DISCOUNT CODE: DOOR16 for 16% off until December 2! We only give handmade items for the holidays, too. Supporting small businesses is even more important to me now that I own one myself! Thanks so much for hosting this Anna! ✚ Modern, Geometric, and tribal inspired handmade jewelry. The Winter 2013 line inspired by the Winter Moon is now available! so awesome, love your blog! Thanks! ✚ Figurative oil paintings + archival prints of underwater swimmers, vintage bathers, pools. ✚ I am an artist painting mainly (contemporary) portraits. For some of my work: my paintings are featured on Duran Duran’s website, in John Taylor’s blog! And they have found a new home at his house. ✚ Fine art photographs from Paris to the Seaside. ✚ DISCOUNT CODE: HOLIDAYS2012 : Take an extra 15% off all orders though November 27th. ✚ Fine art photography prints! This is so exciting, Anna! Thanks for the opportunity! ✚ SOAPWALLA skincare products cleanse with natural, organic and food-grade ingredients, are vegan, personally produced by me in Brooklyn, and are absolutely never ever tested on animals. ✚ Playful and modern art prints. Black Friday & Cyber Monday week-end sale: use coupon code HOLIDAYS12 to receive 30% off your order. Door Sixteen readers, use coupon code D1612 for free shipping until the end of 2012! ✚ Original screen printed goods. Hand pulled in Austin, TX. This is great- thanks so much for supporting independent makers! ✚ We make sleek/modern address plaques (think housenumbers) for homes or businesses using plexiglas as the base. ✚ travel inspired handcrafted jewelry composed of semi precious stones, glass, and vintage objects collected from around the world. ✚ use code HAPPYGIFT at checkout for 10% off anything except 4-magazine bundle. Can’t wait to reference this list for future shopping…thanks, Anna! ✚ Paper party decorations and photo booth props. Custom orders welcome! ✚ DISCOUNT CODE: Use DOOR16 to get free domestic shipping until December 15th. What a wonderful idea. Thanks so much, Anna! ✚ Small-batch runs of homemade pocket squares, scarves, jewelry, keychains, and coasters. ✚ Black Friday / Cyber Monday sale is on, 20% off store-wide. ✚ Personalized letterpress stationery, business cards, party invites, wedding suites…pretty much any customized, letterpress-printed paper goods you can think of! ✚ Clever Sleeves for iPads and Laptops. Happily made in the USA! Anna, thank you so much for doing this! I’ve been thinking about buying handmade gifts as presents this year – I don’t know that all gifts I’ll purchase will be handmade but, for me, it’s a start. Looking forward to checking out some of these links! what are you doing is so so awesome!! rock on anna. love you for doing this this season. can’t wait to start shopping. ✚ code FREESHIP for free domestic shipping! Love this idea, thanks so much! ✚ I make laser cut Boot Keepers in Seattle. These are functional pieces of art that help keep your tall boots from falling over and minimizing unwanted creases. They make great gifts and are packaged in pretty boxes! ✚ DISCOUNT CODE: DOOR16 for free priority shipping within the US! ✚ Tiny chicken and goose egg piñatas finished with fringe made from streamers and European crepe papers. Also indigo press printed holiday cards from my original watercolor paintings. I do custom orders on the eggs. Thanks for this opportunity to share our wares and for supporting the independents, Anna. ✚ Reusable coffee cup sleeves, printed and sewn by hand. ✚ DOOR1620 is your discount code for readers of Door 16 to get 20% off (excludes shipping). This is a great idea, I love exploring other shops and have been buying all my Holiday gifts locally and handmade for the third year in the row. ✚ DISCOUNT CODE: SHOP SMALL SATURDAY GIVEAWAY. 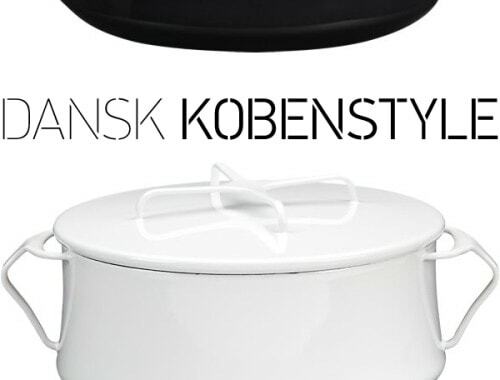 VISIT https://www.facebook.com/pages/By-Hand/511713075523422 to enter. Free shipping on Saturday, November 24th. ✚ Greetings from Cotillion. Your one stop shop for Cotton and Paper crafts. Everything in this store is handmade, using only high quality materials. I welcome custom orders! ✚ I make sterling silver jewelry. I also like to work with brass. Thanks so much for doing this Anna !! ✚ We make statement feather jewelry. ✚ An illustrated travel journal + activity book for young girls, ages 7-12. It’s inspired by all the family road trips I took as a kid with my family. It’s all illustrated by me and printed at my favorite, local printer. ✚ Free shipping through Nov. 26th. ✚ Give an Umba Box subscription: Curated handmade surprises delivered every month. We include a personalized hand-written note in the recipient’s first box. ✚ DISCOUNT CODE: Order three or more items, get 20% off list price. thanks, anna. you rock the casbah. ✚ i sell my rubber stamps, journals, collages, handmades and knittedwear. ✚ DISCOUNT CODE: 10% off code is MOONRISE for both shops. also, through 12/31, i am including a free rubber stamp (my choice) with every $30 spent on rubber stamps. ✚ Handmade and screenprinted goods including journals, notepads, prints and cards. 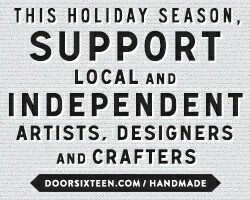 ✚ DISCOUNT CODE: DoorSixteen for FREE SHIPPING within the U.S. on with orders placed before December 16, 2012. This is so great. Thanks for doing this, Anna! ✚ Faux-fur accessories including capelets, collars, cowls, and scarves, as well as chiffon bow scarves and glitter headbands. ✚ I sew wallets, pouches and bags. I’m currently adding new hand dyed organic canvas items. ✚ DISCOUNT CODE: Black Friday/Cyber Monday sale all weekend. everything is marked down 20%! ✚ Modern, colourful greeting and note cards for all occasions. Designed and printed locally in Vancouver, Canada. All paper is 100% recycled. ✚ Cloth Cloth is a small, limited edition clothing line that features artist designed and vintage textiles. All pieces are made by hand in a small studio in Napa, California. ✚ free shipping through Monday 11/26th! ✚ Simple watercolor paintings, hand-lettered pieces, and prints in a variety of sizes. ✚ I’m a designer + maker of things in Anchorage, Alaska. My Etsy shop is dedicated to my printmaking- woodcut and linocut prints. They are a far cry in subject matter and technique from old fashioned printmaking. ✚ Discount code: FREESHIP (free shipping on 2 or prints). I’m a long time reader but first time commenter on your blog! Thanks for doing this, it’s such a great way to find out what other people are working hard on! ✚ DESCRIPTION: RDesignsLA is Rosemary Dardick and Robin Belcher, making prints and other things inspired by the city of Los Angeles. ✚ We are a handmade leather goods line…bags, wallets, belts…. ✚ Dapper duds for pets! An assortment of ties, bow ties, and bows- all handmade and custom sizing available. ✚ A collection of handmade accessories, often made from upcycled vintage jewellery, or with a woodland theme! ✚ Original mixed media pieces, prints, enameled leaf ornaments, paperclay necklaces, and holiday greeting cards! ✚ DISCOUNT CODE: Use the coupon code “THXGIVING” when you check out to receive free shipping! ✚ Knit and crochet accessories that are colorful, cozy, and handmade. ✚ DISCOUNT CODE: This weekend only I am offering FREE SHIPPING for US customers and half price shipping for international customers! Thank you so much for your support! 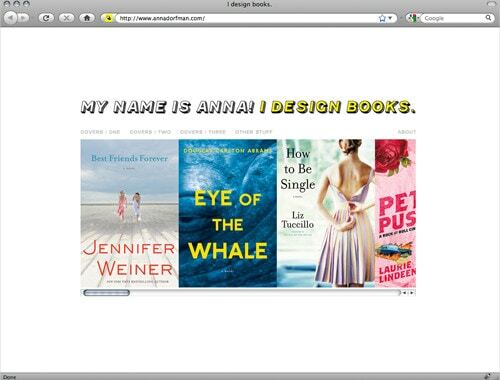 Hi Anna – I just love your blog, I’ve been reading for a while and haven’t commented before but how could I pass up on this? I meant ‘delicate’! Not sure what my typing fingers are doing these days. Thank you so much Anna, very generous of you to offer this. ✚ Delicate jewelry from fine silver, fair trade gold vermeil, sterling silver and 14k gold-fill; and hand-knit alpaca scarves and cowls. ✚ This weekend receive 15% off your order with code BFCM15 – valid through Monday at midnight (EST). ✚ Online paper shop featuring cards, postcards, coasters and calendars. ✚ Layered papercut cards to packaging supplies and stamps. ✚ Every holiday order of $25 or more (before tax and shipping and after any coupon code) will receive a free surprise gift. Plus, get 20% off everything in the shop now through November 26th with the coupon code HOLIDAY20. I adore your shop! I favorite’d it. 🙂 I really enjoy your envelopes. ✚ DISCOUNT CODE: Use DOORONESIX to get 15% off until December 25th. ✚ Nature and mid-century inspired art & illustration, contemporary hand-painted ceramics, limited edition prints and art postcards by Natasha Newton. ✚ Illustrated punchlines with a curl and a penchant for striped stockings. Brave Mable is a hand drawn snarky cartoon on note cards, art prints and Moleskine jotters. ✚ DISCOUNT CODE: MAKEMEHAPPY1XB for FREE Domestic Shipping until midnight December 15th. ✚ DESCRIPTION: Modern, graphic jewelry handmade from vintage metal mesh purses. My own shops, Etsy and maralrapp.com – listed above, have FREE SHIPPING, WORLDWIDE. Thank you for your support, encouragement and promotion. It is much appreciated! ✚ Stephanie Raudsepp is a self-taught bookbinder and artist who creates hand-sewn books, book objects and artists’ books. Hand-sewn books including, but not limited to, journals, guest books, and artworks utilizing the book form. I am very open to new ideas and custom orders. If you have something in mind, I would love to hear from you. ✚ DISCOUNT CODE: Buy one calendar or print, get a print free. Ends 12.25.2012 at midnight EST. ✚ Moop specializes in handmade canvas and waxed canvas bags for men and women. Every bag is designed and manufactured, start to finish, in our Pittsburgh studio. Check us out! 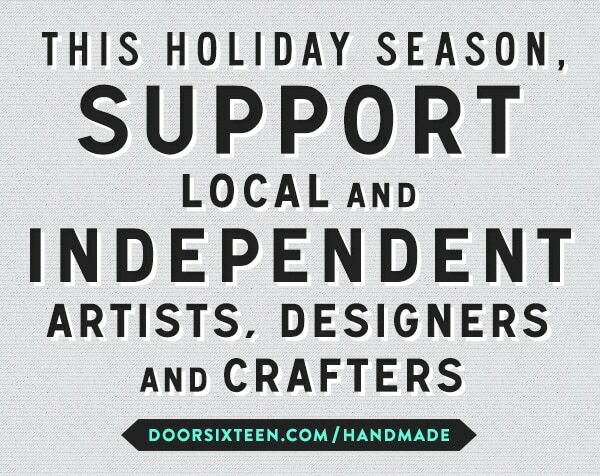 ✚ We created a special DoorSixteen discount code for so awesomely promoting small businesses! Simply enter MOOPSIXTEEN for 10% off our entire shop, now through December 1st, 2012!! ✚ DISCOUNT CODE: THANKFUL gets 25% off your entire order thru Monday Nov. 26th. Thanks Anna! Love you on twitter. Great idea! Looking forward to going through the list. ✚ I design and create handbags and wedding clutches for those who love color, many featuring my own textile designs. I changed my mind. Cyber Monday is nice and all…but Cyber WEEK is even better! Ends Friday at Midnight (CST). Same code. ✚ Paintings, art prints, cards & hand-painted jewellery. ✚ Zines, prints & poetry. ✚ Unique handpainted ready-to-wear and bespoke nail art for awesome individuals. ✚ A basic Spanish course to set your foundation for Spanish success. ✚ 100% handmade contemporary character toys, pillows and accessories. ✚ Custom and handmade paper and design product. ✚ Free shipping with the use of coupon code FREESHIP. Offer valid for Cyber Monday only. ✚ Geometric inspired jewellery handmade in England. ✚ DISCOUNT CODE: 15% off your order with the code DOORSIXTEEN, valid until 3rd Dec. Thanks for this, Anna, such a great idea. ✚ Screen printed stationery goods that feature hand-drawn illustrations and text. ✚ Free Shipping when you use the code “MISTLETOE” at checkout. Cyber Monday only. ✚ Handcrafted limited pieces of artisan jewelry that celebrates the Goddess within. ✚ Cyber Monday coupon code THANKFUL15 for 15% off entire shop purchase. I love that you support these businesses! Thank you for doing this, Anna. ✚ DISCOUNT CODE: FREE SHIPPING with Coupon Code “Door16FS’ specific to Door Sixteen readers. I would love to have you visit the boutique for your holiday shopping needs. ✚ Happy Holidays from The Urban Smith! Get your gold and silver goodies here! Locally made in San Francisco. Stay tuned for our up coming Pop Up Shop before the Holidays! ✚ Handmade modern plush owls, ornaments, and mobiles. This is wonderful! Thanks Anna! ✚ Free shipping on all orders! Also check out my card holders at Refinery29’s holiday gift shop! Thanks Anna, so much good stuff! Happy Holidays to you. ✚ Beautiful things for your home, made from our own exclusive, colourful, botanical fabrics and irish linen. ✚ DOOR16HOLIDAY – 20% off your entire order through the Holiday Season! ✚ A replica of an 1930’s Italian canvas postal bag created out of your own art. ✚ High quality digital prints from my 4×5 film camera or high quality digital images. Shop recently re-opened so I will be adding new images soon. Thank you for doing this. I’m excited to see what Christmas presents I can find from these vendors. ✚ Fashioned from a single sheet of silver, we feature handmade origami jewelry folded into origami cranes, windmills, and so much more! ✚ Fused glass jewelry. (pendants, bracelets, cufflinks and lampworked pendants) All handmade in my home studio in Calgary, Alberta, Canada. 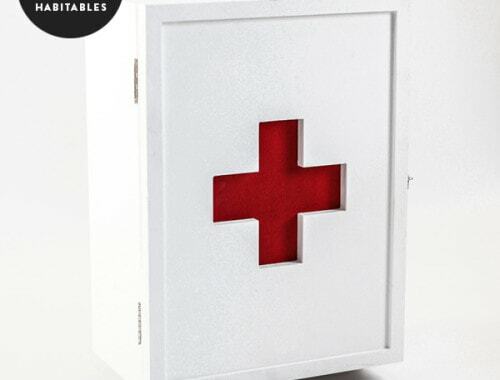 ✚ 25XMAS2012 – 25% off your order until the end of the year! ✚ Eco-resin jewelry, handmade in Seaforth, Ontario, Canada. ✚ Unique adornments made with a lot of love! ✚ hand-knit winter wear [hats, scarves, cowls, headbands]. i use wool, acrylic & ingeo fiber. ingeo is made from broken-down corn kernels. once knit up, corn pieces feel like your comfiest cotton sweatshirt! also, i do my best to reduce my environmental impact. all packaging, stamps, and papers used are recycled // upcycled. also, 10% of ALL profits each month go to charity! ✚ DISCOUNT CODE: YOURECOOL15 will save you 15% on everything in the shop. ✚ Modern cross stitch jewelry and adorable cross stitched holiday ornaments, handmade by me in LA! ✚ Custom portraits for the modern home. ✚ modern handmade travel accessories (to store your jewellery, makeup brushes, etc) and yoga mat bags for men & women. ✚ Handmade products specially for children and babies. Check my products and have fun in the world of MicasTricas! ✚ Handmade decorative wooden arrows! ✚ Original abstract paintings and prints. Let me find you beautiful artwork for your home or business. ✚ Discount: Free Shipping now through January 1st! Join us at the Renegade Craft Fair in LA on 12/8-9 and SF 12/15-16 and find all our goods and limited edition items 25% off! CHEERS! ✚ Handmade and assembled unique modern jewelry. Thanks so much, Anna! What a sweet idea. ✚ Hand crafted wooden earbud organizers in birch, cherry and walnut. ✚ All orders receive Free USPS priority shipping. For all the Australian readers! ✚ We stock a unique range of home wares, gifts and stationery all made with ethical consideration. Based in Sydney, Australia, we support local and international independent designers and makers. ✚ We are turning 3 years old next week so to celebrate we are offering our customers 10% off all our products online until 10th December midnight AEST. Enter PARTYTIME at checkout. ✚ We sell handcrafted leather accessories made in Rhinebeck, NY. So many great shops! Thanks for doing this Anna. ✚ I make handcrafted jewelry from quality materials. My new running line is my top seller. Anna, this is such a brilliant idea! I have discovered so many wonderful shops simply by browsing your comment section. Thank you for being such a big supporter of local artists like us! ✚ DISCOUNT CODE: DOOR16 for 10% off until 12/5/12. ✚ Modern versions of old science ID posters and prints. Botanical art, and a few other things as we find time to be creative. ✚ Discount: enter FREESHIPPING for free shipping, now until Christmas. ✚ DISCOUNT CODE: 15GOLD takes 15% off your order. ✚ Meet the makers, shop the goods! Fiercely independent designers and their apparel, accessories, jewelry and home objects. ✚ DISCOUNT CODE: LOYALTY2012 for 20% off! *** Thank you for doing this! We at Craft & Culture and our community of friends and artists made this same commitment for the holidays! Thanks, Anna — as many have said, can’t wait to return to this list to do my shopping! ✚ I make merry home decor items and accessories. + discount code is only listed here – on the fabulous Door Sixteen blog! What a wonderful thing to do! Thanks Anna. Happy Holidays everyone. ✚ I design jewelry with vintage and salvaged elements, occasionally laced with contemporary finds. ✚ DISCOUNT CODE: Enter DOOR16 for 15% off. Expires December 15, 2012. ✚ Lots of colorful felt ornaments, jewelry, other cute things. ✚ Coupon code BRILLIANT for 15% off. This is an amazing list, thanks for opening your comments!! ✚ We sell handwoven and hand-dyed scarves made by a lovely family of Kashmiri weavers. ✚ DISCOUNT CODE: Free shipping for all customers! ✚ We sell upcycled accessories and leather goods. ✚ We sell our random photographs from our travels/adventures. Black & White Cushions & Pillows with a pinch of fun. 3 different sizes, with or without pillow insert. ✚ Handmade and uniquely designed cards for all events, holidays & occasions. ✚ Handbuilt porcelain sculpture with perplexing surfaces and stitched details. ✚ DISCOUNT CODE: Enter MINIHOLIDAY12 in the coupon code box to get 10% off everything! Thank you so much for your dedication and offering a place where shops can share their passion with your readers! ✚ DESCRIPTION: Ladies, inspired by the everyday bicycle? Whether you’re looking for a treat for yourself or a hostess or housewarming present, you’ll find organic apparel, handcrafted accessories & home/decor items, & our women’s cruiser bicycle collection featuring artisans from North America. Enjoy the bike cruise! ✚ Simple, light and modern design necklaces and earrings. Perfect pieces to incorporate into every outfit. All jewelries are handmade by me. ✚ Enter coupon code “Doorsixteen15” for 15% off through December 16. ✚ ♥ High quality, sweet and simple art prints, greeting cards, calendar, tote bags and stationary. ♥ All products are original designs handcrafted & designed by me. ✚ Enter coupon code “Doorsixteen10” for 10% off through December 16. ✚ DOOR16 at checkout gives you 15% off through 1/1/13! ✚ Hand silk screen printed textiles, cushions,artwork,bags,cards purses and so much more, including custom commissions. All hand made by myself in Scotland. ✚ Prints, Canvases and cards of textured vector artwork – some inspired by great games of the past. ✚ Penguin Plush Dolls, Mugs, Pillows, Prints, & Apparel. Thank you for doing this! Love independent businesses! 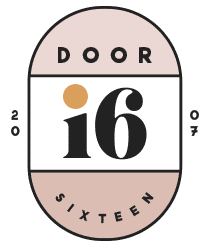 ✚ DOORSIXTEEN for 10% off. Thank you! So many great shops-checking them out, now! ✚ HOLIDAY2012 for 25% off everything. Shipping is also free in the U.S.
✚ Mori forest dwellers and kawaii creatures hand made in my London studio! ✚ SewSmitten hand produce a wide range of gift & everyday items featuring original limited edition artwork, designed & printed by the creative duo – penni p & the Gnome. Among our handmade stash you will find Oyster Card Holders, Greeting Cards, Prints, Purses & Accessories. ✚ We are a handmade geometric accessories shop based in Austin TX. We donate a portion of profits to our local no kill animal shelter, Austin Pets Alive! ✚ We are offering Priority domestic shipping at no additional charge through end of day Tuesday! I can’t wait to peruse the other links found here. Thank you for creating a place for a list like this. ✚ The Girl Kyle Creates! ✚ Printables, invitations, cupcake flags, posters and iPhone cases! ✚ The season of giving is here and TGK Creates is giving 15% off all listings. Please use the code HOLIDAYSHOP15 during checkout. Merry Christmas to all of you! We just wanted to thank you all for visiting us over the last few weeks! We really appreciate the traffic and hope you appreciated ours as well! I would also like to thank you for visiting my site and every other page here posted on this independent post. Buy handmade! !